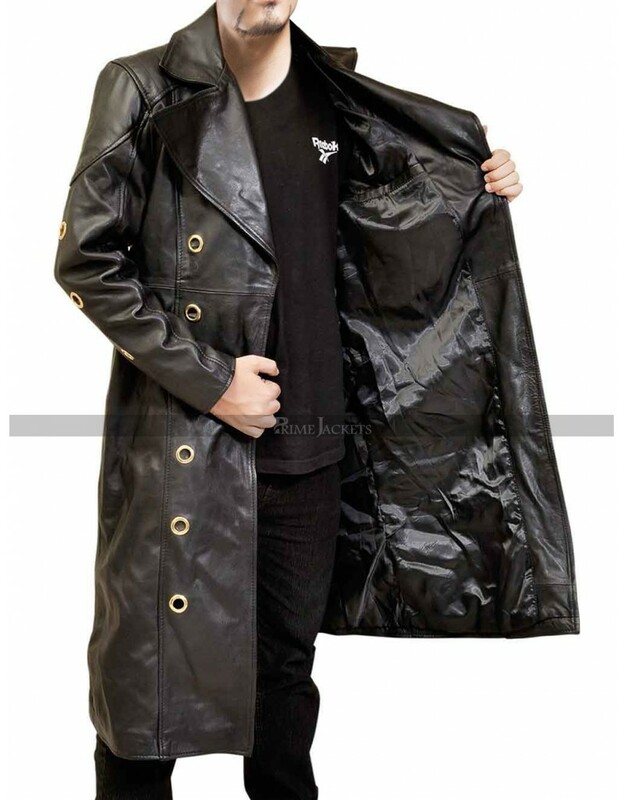 Deus Ex Mankind Divided video game reveals an irresistible leather coat you would love to own. 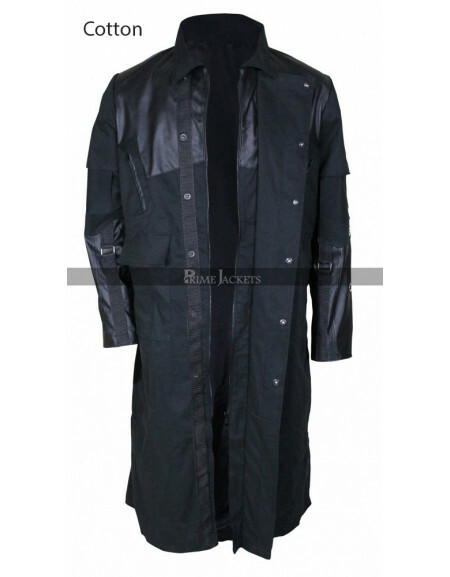 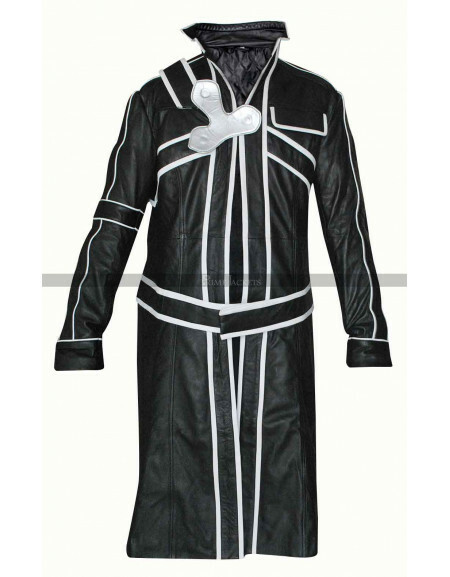 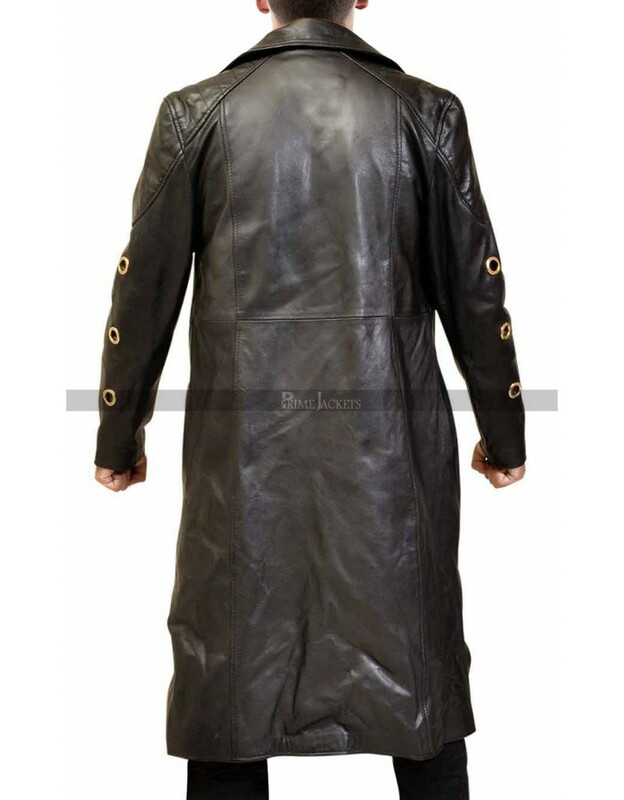 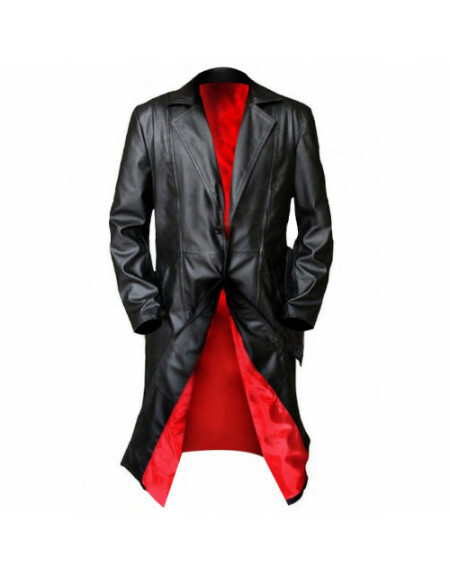 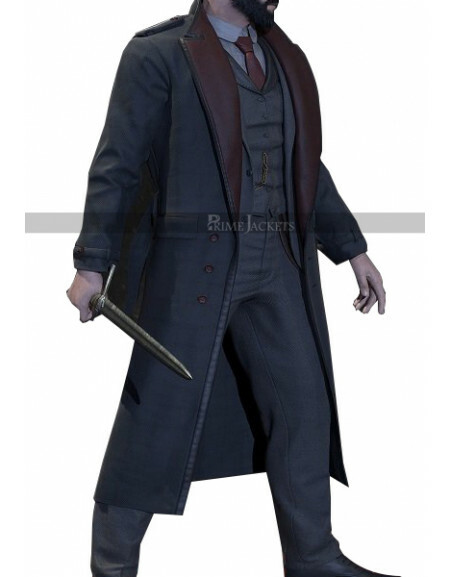 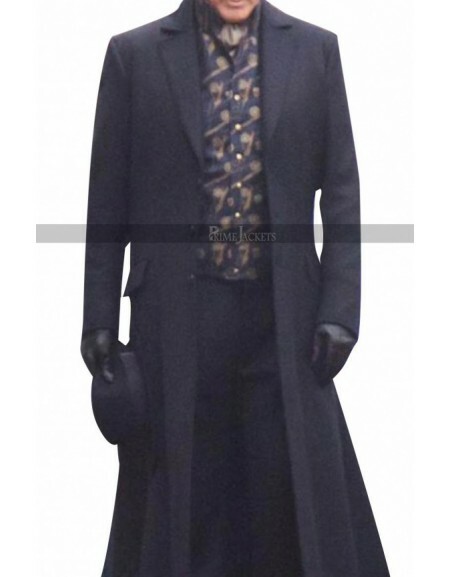 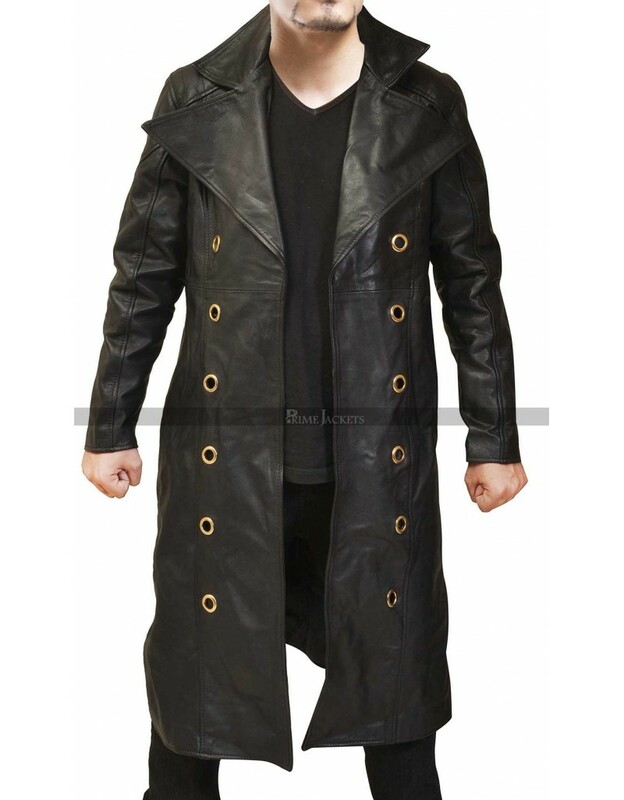 Worn by the character Adam Jensen; this long coat covers all the elements of comfort and beauty. 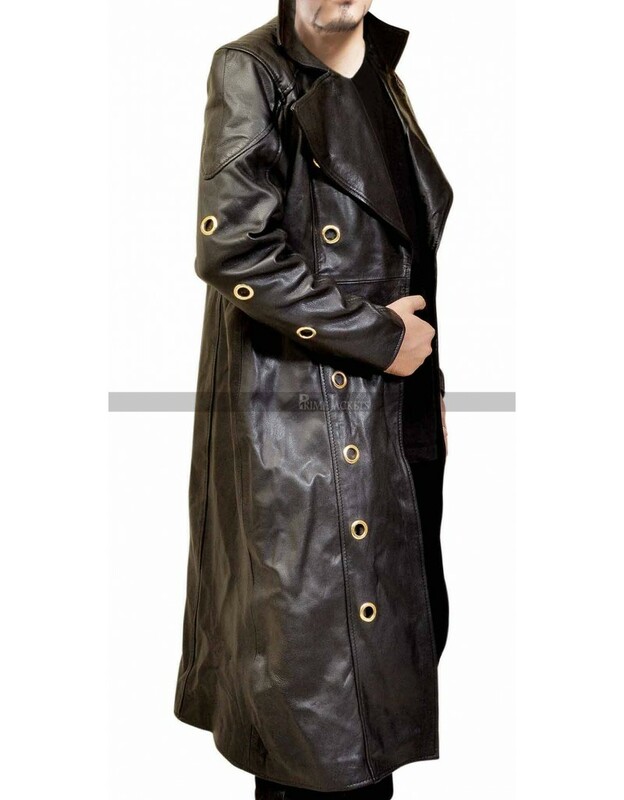 Crafted to utmost perfection with top grade leather; this deus ex coat works to be a perfect style ensemble for cold season. 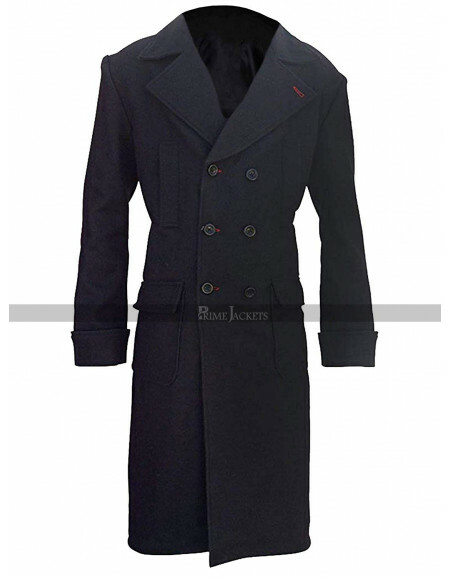 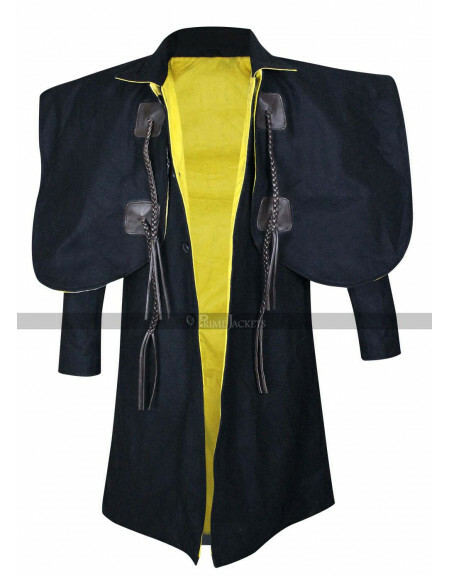 It features a lapel style collar, front open style and inside polyester lining for utmost comfort. 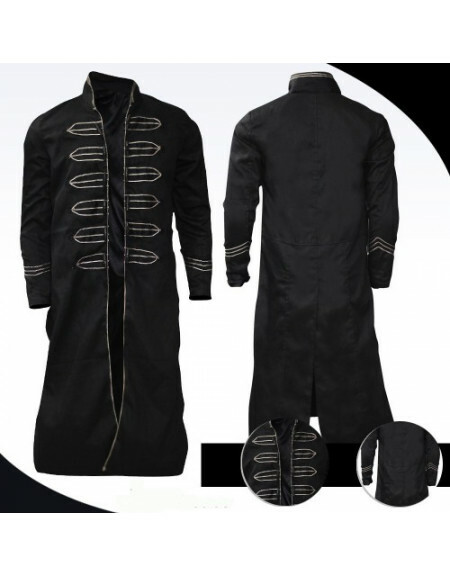 The showy golden rings at front and sleeves impart a unique and distinctive smart outlook.